Cheap car insurance: top tips to help you save! On a budget and looking for cheap car insurance? You've come to the right place! 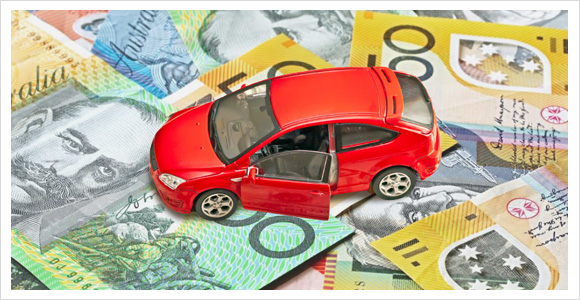 There are four main types of motor vehicle insurance to choose from. Depending on your budget you can choose between Comprehensive, Compulsory Third Party (CTP), Third party Fire & Theft, or Third Party Property. Those looking for cheap cover will often lean towards CTP or Third Party Property which will have lower premiums overall, but remember these types of cover may not cover any damage to your car, so you could end up paying big later! What factors affect car insurance premiums? It's a good idea to know that car insurance companies take certain factors into account when they price your policy - such as your gender, age, where you live and where you park your car. Knowing how these affect your premiums can help you save big time! Are you female? Are you over 50? Have you been driving for a number of years? Have you got a good driving history? Answered yes to any of the above? Hurrah! Car insurance providers consider you to be among the safest drivers on the roads, and that means you could receive cheaper insurance premiums. So, now is the time to start shopping around and comparing policies to see what deal you can get! Let's be hontest, a policy you took out years ago is likely be out-dated. Rather than renewing the same policy each year, it really pays to compare and see how much you could save. Answered no to any of the above? Don’t worry, you can still get cheap car insurance by following our thrifty tips. 'Make' and 'Model': Consider the type of car you have, cars with a less value are cheaper to insure as the insurer can only pay out for the maximum value of the car itself. Also consider car parts - Porsche parts are going to be a lot more expensive to repair and replace than Ford’s or Holden’s aren't they now! Imported or unusual cars: These tend to cost more to insure as their parts are not as easy to repair and replace. Also if your car is particularly desirable your insurer may consider you at greater risk of theft and increase your premiums. Modified cars: Cars that have been modified are more expensive to insure because their value is harder to calculate. Also if you have modified your car to make it go faster, you are increasing the risk of an accident, therefore you will have to pay higher premiums. Nominating drivers: If you nominate drivers it could help you save money, as insurers recognise safe drivers and offer ‘no claim’ discounts. Increasing your excess: The higher excess you pay, the lower your insurance premiums will cost. This is not an option if you have a low cost car as you may end up paying an excess higher than the cars’ value. The type of cover: Comprehensive cover is the most expensive car insurance you can buy as it covers you for more circumstances. Where you park your car: Make sure you park your car in a safe place when you are not driving it, or install an alarm. Repairs: Pick your own mechanic for repairs so you can manage the costs. Thieves: Certain makes, models and modified cars tend to be more attractive to steal, therefore you may have to pay higher premiums for this risk. How often you drive: If you don’t drive regularly you are reducing the risk of having an accident and therefore you should get a cheaper price on your car insurance. Keep an eye on how many Kilometres you are driving. Tailor your payments: You might wish to pay monthly or provide one lump sum which may help with managing your finances. Compare: Compare car insurance quotes side by side and save time. Instead of visiting 10 different insurance providers’ websites you can see all the results in 1 convenient place. Above all, drive safely: So you continue to stack up your no claims discount. Please remember when shopping for car insurance, the cheapest is not always the best. It is important that you get the cover for your needs, at the right price for you. Whether you’re looking for a new car insurance policy or thinking of renewing an existing one, using our car insurance comparison could save you time and money. Most people do not realise you don’t need to wait until your policy is about to expire to change policies. For budget car insurance, use our comparison engine to compare cheap car insurance quotes. See how much you could save now! Car insurance: Agreed value or market value? When you buy your policy you’re going to need to decide whether to insure your car for an agreed value or market value. Did you know repair bills from hail damage can be as high as $5,000, and that cars are regularly written-off due to storm damage? Comprehensive car insurance will cover your car for any d...... Read more. Compulsory third party insurance (CTP) or greenslip as it’s named in NSW is compulsory in Australia. Your vehicle cannot be registered or legally driven on the roads without it - and you’...... Read more. Insurance companies use many different factors to calculate your premiums and your age is just one of them. Buying a car is a big deal and, after spending your hard earned money on your dream machine, you need to make sure you are protected in the event of an accident. Nobody thinks it will happen...... Read more. The ins and outs of No Claims Discounts! A No Claims Discount (NCD) is a discount applied to your premium because of good driving and good claims history. Building up this discount is one of the best ways you can reduce your premiu...... Read more. Whichever insurance type you’re considering, it’s your ‘duty to disclose’ and best answer the questions when applying or renewing your insurance. Did you know that premiums vary dramatically based on the car you choose to buy? The value of your car, safety ratings and repair costs are the main influencers to pay attention to.Here’s our ...... Read more. Insurers can’t tell if you’re a safe or reckless driver without any previous driving history, so they base their quotes on statistical data from all their customers, and work out the ris...... Read more. The most thorough form of insurance on the market and offers the best protection for your much loved car. What’s not covered by car insurance? It’s easy to get confused with your cover. We all know that your insurance covers you for loss or damage caused to and by your vehicle but do you know all the ins and outs? We know that your policy is confusing, that’s why we’ve provided you with a few frequently asked questions to help you make the right decision when it comes to buying your cover. Accidents happen every day. Perhaps you were avoiding the neighbour’s cat and drove into a tree? Or that lamp post was closer than you thought? When your cars off the road there’s all th...... Read more. Whether you’re looking for a new policy or thinking of renewing an existing one, using our comparison can save you time and money.